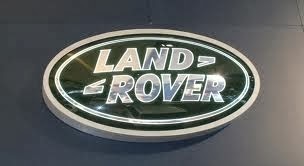 Land Rover Defender 90 2.5L Turbo Diesel Only selling due to moving house and at university. Has been well looked after, with invoices from work done by previous owners, as well as recent invoices. Lots of extras worth approximately £2300: Snorkel Bull bar Winch Spot lights Upgraded tyres Lift DAB radio Speakers Chassis has also been recently wax-oiled professionally. New MOT. Usual small scuffs but it is a defender after all. Any questions feel free to contact and please email if you would like to arrange a viewing.